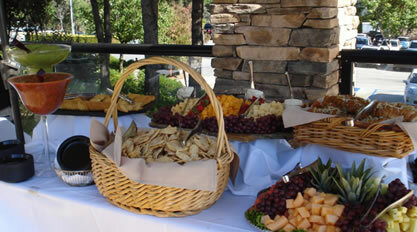 Hosting a reception, ceremony, anniversary, birthday party, quincenera, corporate event or celebration of life event? Our Pavilion lends itself wedding catering or any type of event you may be planning and our acclaimed banquet selections can be tailored to meet your needs. 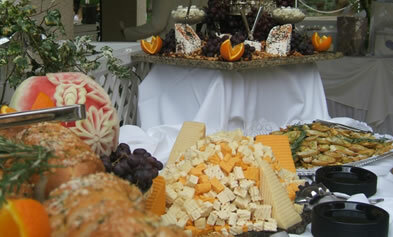 We offer extensive options with buffet, plated and themed menu selections. Our showcase events will offer an opportunity to sample many of our menu selections and experience the quality that has our guests constantly offering the highest reviews. 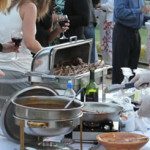 We pride ourselves in versatility and imagination in helping you plan and organize your event. It is a trademark of our service that you recognize that we are you’re “planning partners” every step of the way, right down to the last detail. Call us at any time to schedule an appointment to discuss how we can help make your next event one that you and your guests will rave about! 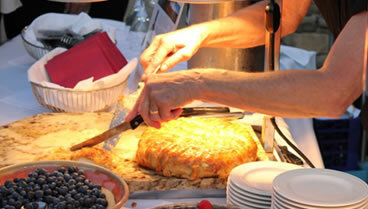 Our extensive menu options offer versatility to fit any event or we will be happy to customize a menu just for you. 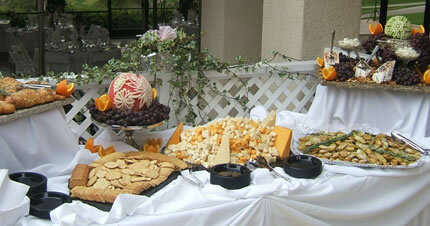 Complete Buffet, Plated Meal and Heavy Hors d’ oeuvres receptions are our specialty. We have all you require for business meetings and Company celebrations. Small groups or large, we offer a great setting for you and your employees. 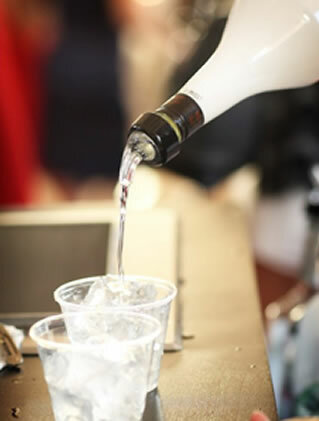 We offer several bar option packages to fit any need you may have from hosted to non hosted cocktail service including beer selections, signature drinks and cocktail punch. We also offer selections from our extensive wine list. We are proud to be the host site for many of our local schools sports award events, class parties and proms. We have a special menu specifically tailored to a younger audience at pricing that fits your budget. We have the perfect setting for your next golf tournament or charity fundraiser. 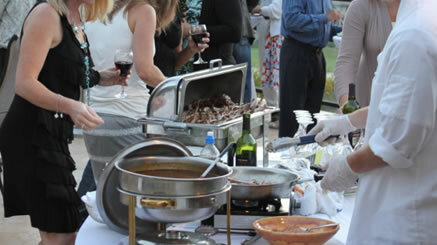 Our special golf menus offer variety and favorite selections for all types of golf groups and their needs. If you have a “Very Special Occasion” that requires more than just a table for two (or more) in a less than intimate setting, we have just the answer. We will plan everything from flowers and entertainment to a five star dining experience complete with wine selections and linens. Your only worry will be when to arrive. Each Intimate Dinner is individually planned. Steele Canyon is a semi private club that welcomes the public for our monthly themed events. From Wine Pairing dinners and California Clambake to Easter, Mother’s Day, Father’s Day and our Holiday Brunches, you don’t want to miss the amazing array and selection of delicacies that our executive chef prepares for these events. Call 619-441-6900 and get on our social event email list!